Should taxpayers pay severance to state employees to take the sting out of unexpected job losses or to protect the uncovered tails of the elected officeholders who fire them? The state’s legislative budget writers have promised to dig into stories of severance packages for people getting pushed out of some state agencies. Their understanding was that the practice was out of bounds. Now that the state’s top lawyer is doing it, the legality is an open question — and it makes it more difficult for legislators to draw the line for other agencies discovered to have been providing similarly cushioned exits to some of their outgoing workers. It happened, for instance, at the Office of the Attorney General, where Chip Roy, the first assistant attorney general, Allison Castle, the agency’s senior communications director, and Katie Lawhon, a scheduler, resigned and were paid for the equivalent of up to 64 days of leave on their way out. The practice might or might not be within the rules today, but it will be surprising if it’s still allowed after the next legislative session. The spinners in the attorney general’s office would say that they are not paying severance, but instead are paying “emergency leave” to several employees who left the agency this year. It’s fruitless to argue with the state’s top lawyer about the legality of this — especially because other agencies appear to sometimes be doing the same thing — but Attorney General Ken Paxton is probably going to be spending some of his time explaining his actions to his former colleagues in the Texas Legislature. His agency is the law firm for those other agencies, after all. 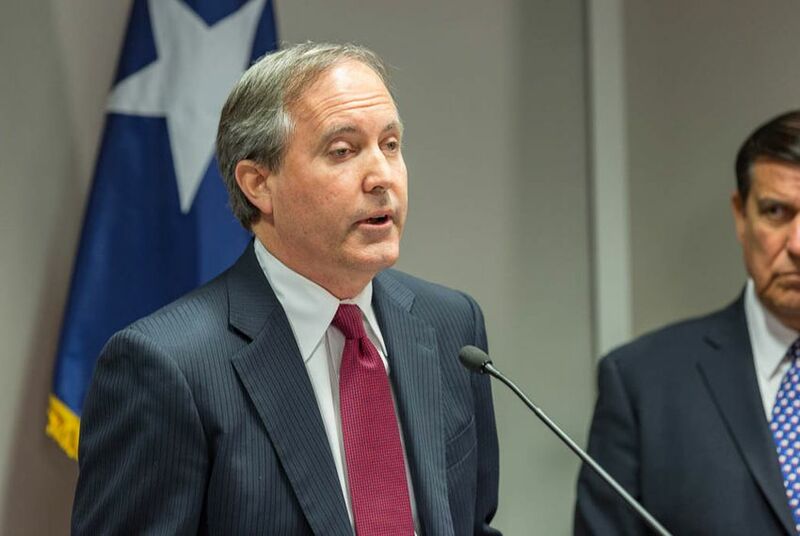 Paxton’s director of human resources, John Poole, wrote an explanation for reporters and other curious onlookers that pointed to the state statute the attorney general relied on when he agreed to the compensation. Subsection (a) is where they allow government workers time off with pay because of deaths in their families. Nobody in the AG’s office offered up the rationale for the “good cause” pay he granted to his former top employees, which leaves taxpayers and legislators wondering what happened and why. Set the legal stuff aside and look at the policy questions here. Is this something the government ought to be doing? It’s not the sort of thing you’d learn about in Sunday school, but it’s not unusual to clean up a mess with money. It protects the company’s reputation, and sometimes, the reputation of the departing worker. It’s also private enterprise, where secrets are a long established and somewhat honored norm. Governments aren’t supposed to spend taxpayer dollars burnishing their reputations. More to the point, they’re not supposed to use your money to boost the careers or hide the mistakes of the people you elect to office. It’s easy to explain the difference: Shareholders benefit when the companies they invest in appear to be doing well. In the government example, the officeholder is using taxpayer money to keep an otherwise disgruntled employee from mouthing off about trouble in an agency or with a particular elected official. It’s like taking money out of mom’s purse to pay your kid brother not to tell your parents you snuck out of the house after curfew last weekend. Mom would blow her stack if she found out she was paying your brother to keep her in the dark. None of the people who left Paxton’s office has said they were told to zip up their lips. Castle described her departure as the AG’s prerogative to “bring in a new team and go in a different direction.” That’s got the advantage of sounding both descriptive and also pleasantly vague — just the sort of balm you’d expect from someone in her line of work. She described receiving a pre-written resignation letter that included the terms of her compensation package. Roy got a similar deal, as did Lawhon, who resigned on her own volition. None of them raged about the terms of their departures, and it would be unfair to say that the money is the reason for their calm. It does make you wonder, though, what Paxton (and others who’ve done this) considered “good cause,” whether he would advise other state agencies to follow the same practice, and what he thought the taxpayers were getting for their money. Correction: A previous version of this analysis left the impression that Katie Lawhon was forced to resign; she was not.